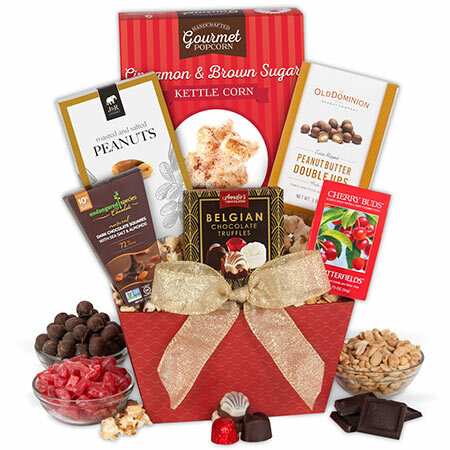 GourmetGiftBaskets.com has been around for several years and since their start they have prided themselves on offering exceptional gift baskets for all of life’s special moments. 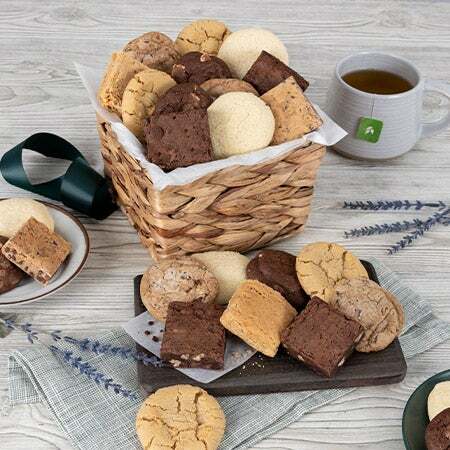 Their baskets were originally designed by family members and the company itself had a humble beginning in the basement of a flower shop until they exploded into one of the largest online gift basket retailers. 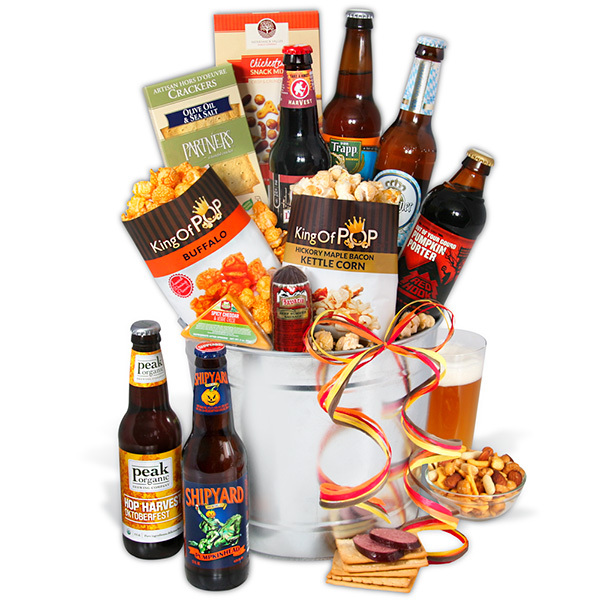 A gift basket company devoted to quality and exceeding gourmet expectations. GourmetGiftBaskets.com may just have one of the largest selections we have seen. They even have varieties of baskets that aren’t available on other sites, like their Microbrew Beer Gift Bucket full of miniature brew bottles and beer-paired snacks or their fondue baskets. They have a hefty inventory offering everything from the classic fruit, meats and cheeses to snacks, gourmet popcorns, nuts, wines, champagnes, liquors and spirits, beer, and more. While they don’t have a lot of non-edible options, they do still have their spa gift baskets for those that want to ship non-perishable products. 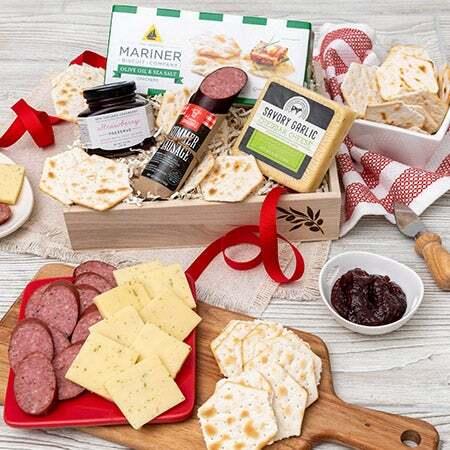 Despite their massive selection and all of their gourmet options, GourmetGiftBaskets.com does not have any customization options – which is something we hope to see from them in the future. You cannot design-your-own basket, add-on to any basket or swap out items. That being said, they have an extensive selection of baskets to choose from – so some people may not find this as big of an issue. There are tons of fun themes with GourmetGiftBaskets.com. We especially like their out-of-the-box baskets, such as the Microbrew Basket, Around the World Beer Bucket, Nostalgic Candy Gift (featuring all of the candies you would know and love from childhood), and more. When it comes to occasions, they literally have them all covered. 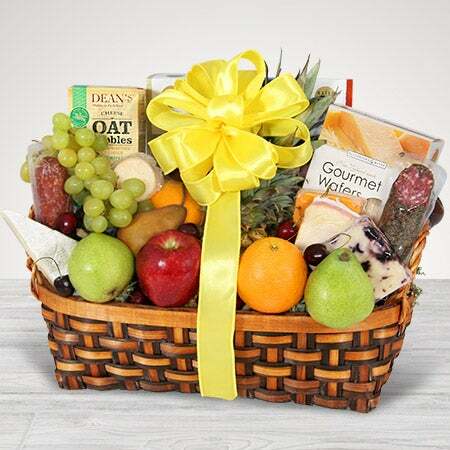 We are highly impressed at the selection they have per category – such as a soup basket for Get Well or actual graduation baskets – including a college champagne graduation basket, post-college survival gift basket, etc. Most companies offer mere “congrats,” but this company goes all out. 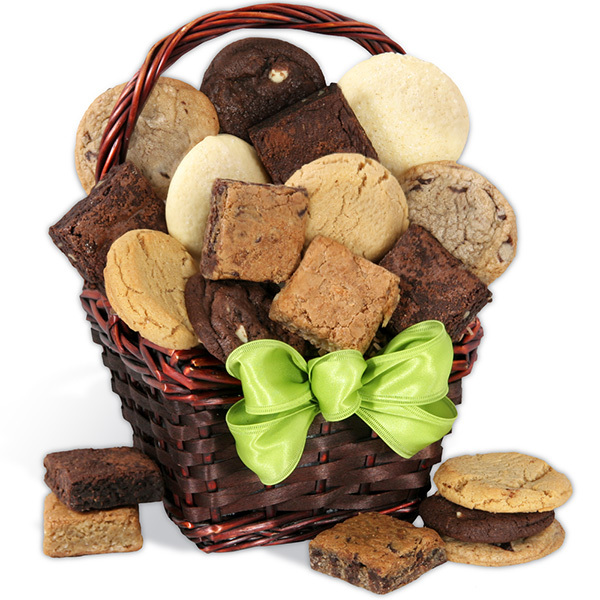 They also have the largest selection of Kosher and gluten-free gift baskets that we have ever seen. They try to give their customers as much variety as possible – which is refreshing. 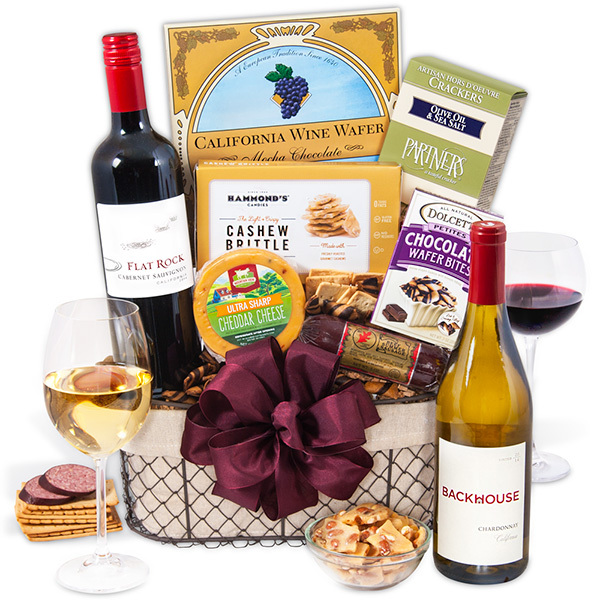 Corporate gift giving from GourmetGiftBaskets.com is impressive as well. 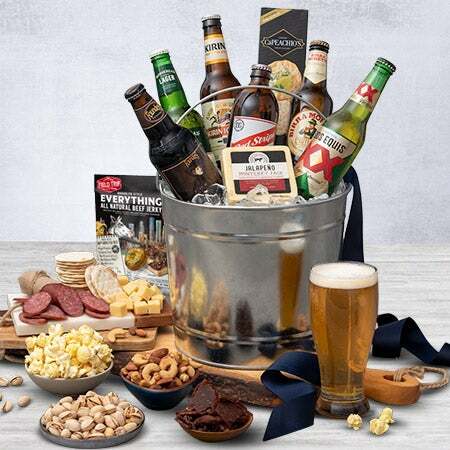 They have baskets designed just for their corporate members, but also plenty of perks for corporate buyers – including bulk ordering, discounts on bulk orders, and they are one of the only companies to offer samples of products – so corporate buyers can see what their recipients would be getting. They allow corporate buyers to customize their orders as well and they can even ship internationally. There is a corporate team dedicated to these orders and for businesses that want a little more branding on their baskets, GourmetGiftBaskets.com will accommodate. Prices are great with GourmetGiftBaskets.com. They even have their website set up so that you can shop for gifts under $35, $50, $75, $100, $125 and even look for discounted products. Baskets for under $50 are still pretty packed and offer full-size products as well. Compared to other companies, they seem to have more for the price and still include high-quality products. 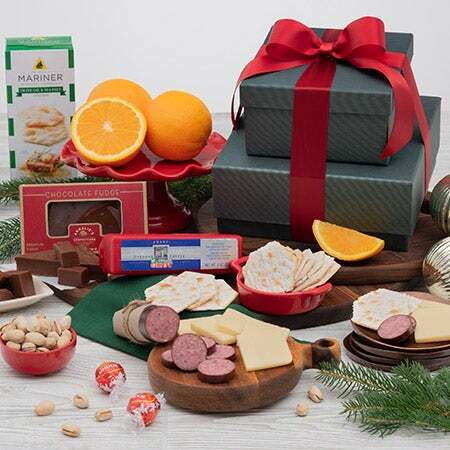 There are a large variety of their gift baskets that ship free of charge – in fact, they have an entire menu option dedicated to Free Shipping Gifts. They also offer same day gift baskets for those doing last-minute shopping. The majority of the free shipping items are over $50, but there are a handful under the $50 mark all with free shipping. When dealing with alcoholic beverages, they cannot ship to all states – especially those that do not accept liquor shipments. Also, there is an added fee of $3.99 for orders that must be delivered and signed for by an adult over the age of 21. Their standard shipping rate is $10.95, but this does ship significantly far out – over two weeks for some baskets. They also offer faster shipping, ranging from $14.90 to $34.90. All dates are guaranteed. We like the packaging with GourmetGiftBaskets.com. Their baskets often feature reusable bins, boxes and totes – so recipients get more out of their gift. All orders come with a free gift message and you can pick the occasion as well. On the site, they list specifically each item, its weight and a brief description so that you know exactly what you are receiving – something not all merchants go into as much detail about. GourmetGiftBaskets.com does have a great return policy in place. All shelf-stable items must be returned within 15 days and they will refund the order total less any costs for shipping. If a product is ever damaged, they will replace the order free of charge. Perishable items cannot be refunded unless there is a product defect. They guarantee shipping dates, but if the shipper has an error on their end, GourmetGiftBaskets.com will not refund the shipping total. 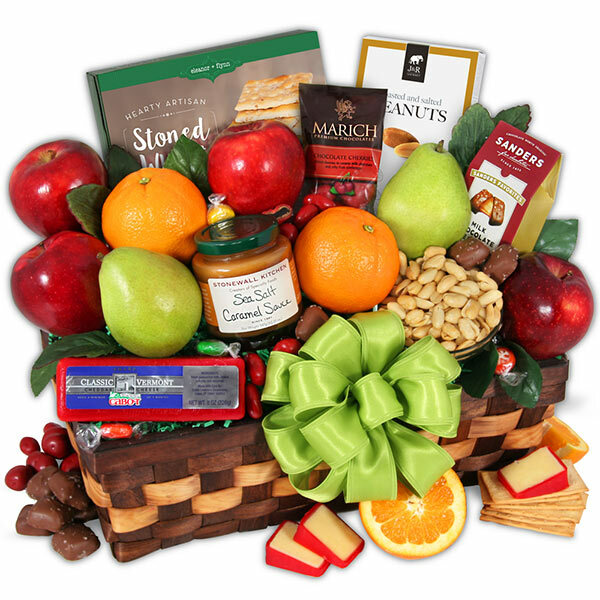 GourmetGiftBaskets.com is available via email as well as their toll-free number. Their business hours are Monday through Friday from 9am to 6pm EST. They do have a live chat, but only available during normal business hours. Unfortunately their FAQs section could use some beefing up – it is not easy to navigate or find the information you may be looking for. They do, however, carry an A+ rating with the BBB and have been accredited since 2007 – which is impressive. Free shipping is available on select baskets ranging from $40 to more than $200. Under $50 – Gift baskets under this price point are smaller, but still impressive. They include fruit baskets, totes full of candies and snacks and they even have sampler packs. There are a small number of baskets that also include beer. $50 to $100 – The baskets within this price range are impressive. They even include fruit baskets, red wine and white wine options and even microbrewed beers. $100 to $200 – Baskets over $100 often come with things like champagne – including Dom Perignon options, and their deluxe chocolate baskets that are overflowing with the biggest names in chocolate. They also have their Wine Lovers Suitcase Trio in this category – with three bottles of wine, cheeses and snacks. $200 and up – Anything over $200 falls into the Signature Series collection and can go as high as $399.99. This includes champagnes, cigars, margarita mixes, a premium gluten-free basket, etc. 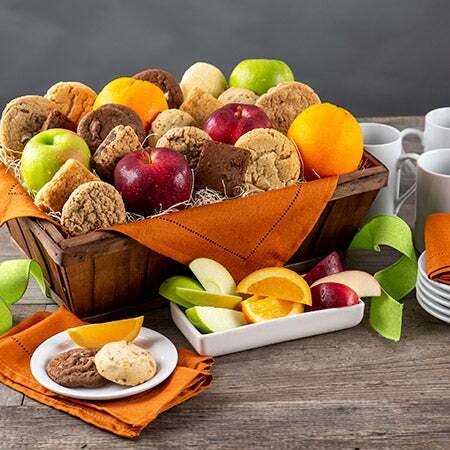 The extensive selection, free shipping opportunities and even same-day delivery options makes GourmetGiftBaskets.com ideal for just about any customer. They even cater to gluten-free and kosher shoppers that need more variety. 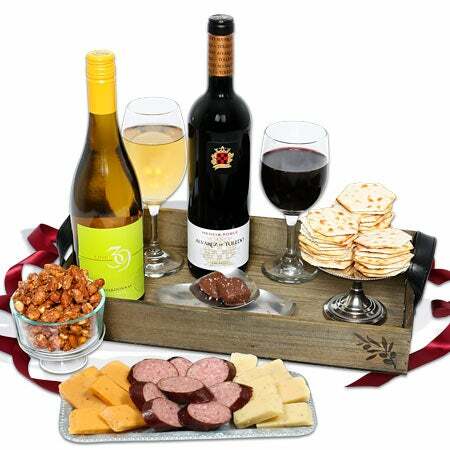 We really enjoy the selection that GourmetGiftBaskets.com offers. They are one of the only merchants to offer bigger selections to those shopping for Kosher and gluten-free gifts too – which we feel is very important. Their free shipping is also a great thing to see – since most companies do not offer free shipping. We like their same day options and love their funky, fun themed baskets. They are also one of the only merchants to have such a variety of wine, champagne and beer baskets – which is something a lot of shoppers would be interested in purchasing. If we had to choose, we would say we are not a fan of how some of their baskets ship so far out. We tested a few and the shipping dates were up to two weeks away. That being said, they have plenty of same day and fast delivery options. Under $50 - Gift baskets under this price point are smaller, but still impressive. They include fruit baskets, totes full of candies and snacks and they even have sampler packs. There are a small number of baskets that also include beer. $50 to $100 - The baskets within this price range are impressive. They even include fruit baskets, red wine and white wine options and even microbrewed beers. $100 to $200 - Baskets over $100 often come with things like champagne - including Dom Perignon options, and their deluxe chocolate baskets that are overflowing with the biggest names in chocolate. They also have their Wine Lovers Suitcase Trio in this category - with three bottles of wine, cheeses and snacks. $200 and up - Anything over $200 falls into the Signature Series collection and can go as high as $399.99. This includes champagnes, cigars, margarita mixes, a premium gluten-free basket, etc.